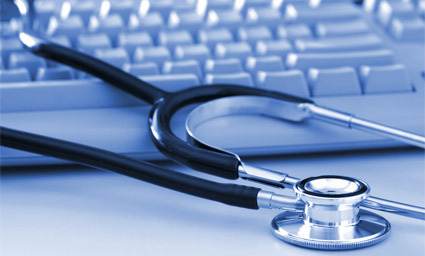 The Centers for Medicare & Medicaid Services (“CMS”) proposed Meaningful Use criteria to implement Stage 3 and allow eligible professionals, eligible hospitals and critical access hospitals (“CAHs”) to qualify for incentive payments (or avoid downward payment adjustments) under the Medicare and Medicaid Electronic Health Record (EHR) Incentive Program implemented by the Health Information Technology for Economic and Clinical Health (“HITECH”) Act of 2009. Then CMS made changes to Stage 1 and Stage 2 Meaningful Use criteria to better align with the proposed Stage 3 criteria just two weeks later. Proposing the use of application programming interfaces that could enable the development of new functionalities to build bridges across systems and provide increased data access. The Stage 3 Proposed Rule also focuses on the advanced use of certified EHR technology (“CEHRT”) to promote health information exchange and improved outcomes for patients. As a companion to the Stage 3 Proposed Rule, on March 30, 2015, the Office of the National Coordinator for Health Information Technology (“ONC”) also published a proposed rule (the “2015 Edition Proposed Rule”), adopting a set of certification criteria that align with proposals for Stage 3. Among other proposed changes, the 2015 Edition would establish the capabilities and specify the related standards and implementation specifications that CEHRT would need to include to, at a minimum, support the achievement of meaningful use when such edition is required. Between now and 2018, CMS also proposes modifications and simplifications to Stage 1 and Stage 2 of the EHR Incentive Programs in order to better align the objectives and measures of meaningful use for 2015 through 2017 with the upcoming Stage 3 requirements. On April 15, 2015, CMS published a proposed rule (the “Stages 1 and 2 Proposed Rule”), that, if finalized, are intended to make it easier for providers to meet meaningful use requirements. In the Stages 1 and 2 Proposed Rule, CMS proposed changes to the EHR reporting period so that the period for all participants is based on the calendar year beginning in 2015. The EHR reporting period for eligible hospitals and CAHs was initially based on the federal fiscal year (October 1 through September 30), so this change standardizes the review period for eligible professionals, eligible hospitals and CAHs. In addition, new participants in the EHR Incentive Program would attest to Meaningful Use for an EHR reporting period of any continuous 90-day period within the calendar year for 2015 and 2016. For 2015 only, all eligible professionals (not just new participants) would be permitted to attest to an EHR reporting period of any continuous 90-day period within the 2015 calendar year, while all eligible hospitals and CAHs (not just new participants) would be able to attest to an EHR reporting period of any continuous 90-day period within the period beginning October 1, 2014 and the close of the 2015 calendar year. We will keep you posted when and if these proposed changes become final, which is not expected before late summer 2015—at the earliest.